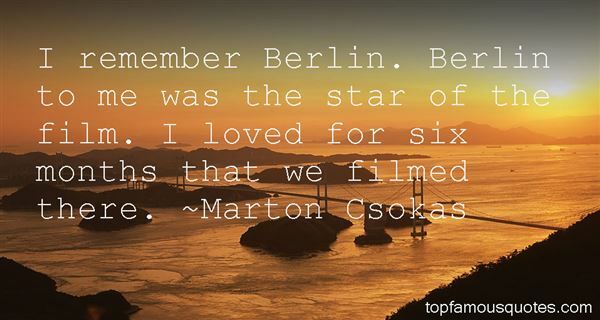 Reading and share top 4 Marton Csokas famous quotes and sayings. 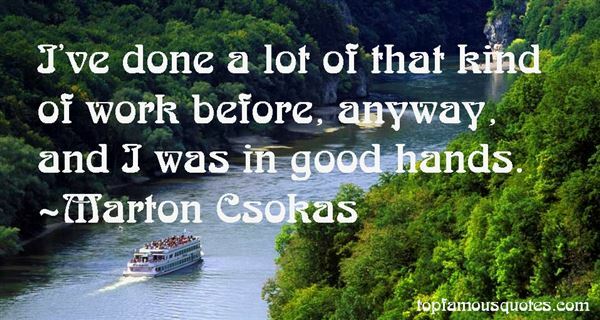 Browse top 4 most favorite famous quotes and sayings by Marton Csokas. What is life? This is no life. Who wants this life?The dead leave it to us to struggle in this world. They go elsewhere, wherever it is, and wait for God to sort it all out. But we have to stay here, no matter how hard it is. Nobody can be alone. Life is the life of others. My life, your life, that is nothing."